A refined restaurant focusing on simple, well-prepared dishes maintaining the integrity of premier Northwest ingredients. The wine selection best in Portland and the recommended bottle we had was fantastic. The food was spot on, done to perfection, very tastie. The presentation/plating of the food was very professional. The servers were very friendly and professional as well. I would recommend Davenport to everyone. Food was ok, good in a town with lots of great restaurants. Our waitress was lovely but the gentleman who came to our table to tell us to leave after an hour and 3/4 was a bit overbearing. I probably won't go back. Average mediocrity is how I would describe the food. It was Good but in our very competitive food scene, nothing made it exceptional. Portland Dining Month options were fantastic! Steak or scallops. Pana cotta was delicious too! Davenport is always a wonderful dining experience! Really good food and service. The only thing I wasn't happy with is that they don't serve coffee (!?!?). It would have been delicious with the panna cotta. Food was good, portions were HORRIBLE. Have NEVER only had 2 Scallops for a dinner entree. Came with a dab of cabbage salad. We were both hungry after our dinner. I much rather they add a few $ to the price, add at least 1-2 scallops with a 3rd item on the plate. I went for Portland Dining Month. I love to try places I haven’t been to & they have good reviews. I was a bit disappointed. My beet salad was bland & a bit boring. If the waitperson would have come back by & asked how my salad was I would have asked for salt. Entree was Scallops which were cooked perfectly but it was just 2 on the plate. We also ordered oysters & shrimp appetizer which were delicious. The dessert was Panna Cotta which was very good. We love Davenport. The cocktails taste great and are a healthy pour. Food is good and the menu is small plates so you can try several interesting dishes. My only criticism would be the presentation on the plate. It could be bit more artistic and created better with a bit more finesse. But once you taste the food, it’s pretty darn good. This is our third time and we’ll come back again. Probably sit at the bar. Lots of interesting folks sit at the bar. 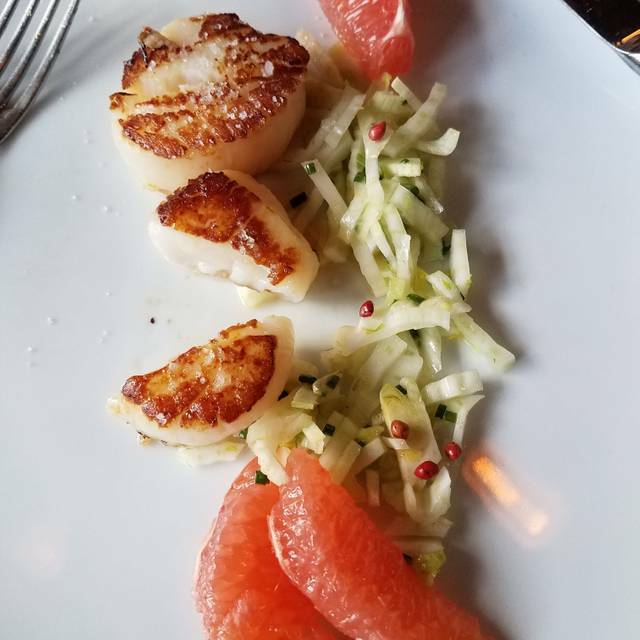 We really enjoyed the dining month special menu - my scallops were especially tasty! 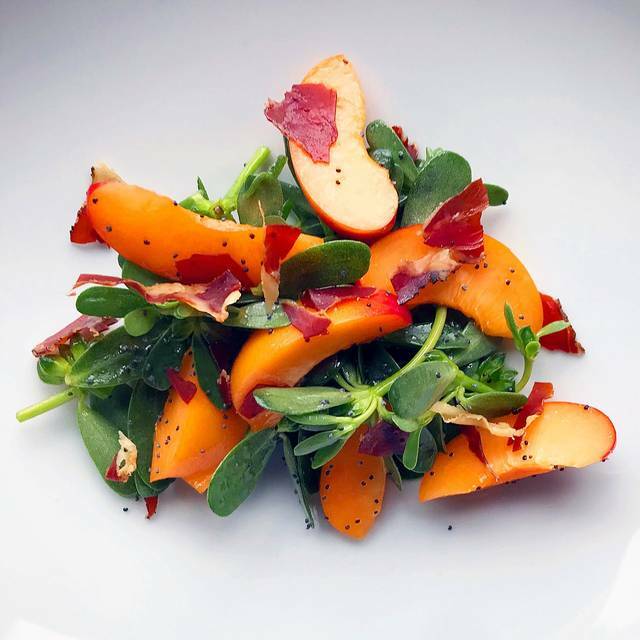 Davenport treats vegetables with the respect they deserve, and they are carefully prepared in surprising ways. The wine pours are very generous! Our server was knowledgeable about both the food and wine. Because it was a warm evening, the big window was rolled up and sitting near it felt like being outside on a patio. Lovely! Excellent food and service. We went for an early dinner to avoid the crowd and loved the ambiance. Will definitely go back. Very small portions. Wife was still hungry despite a number of plates. 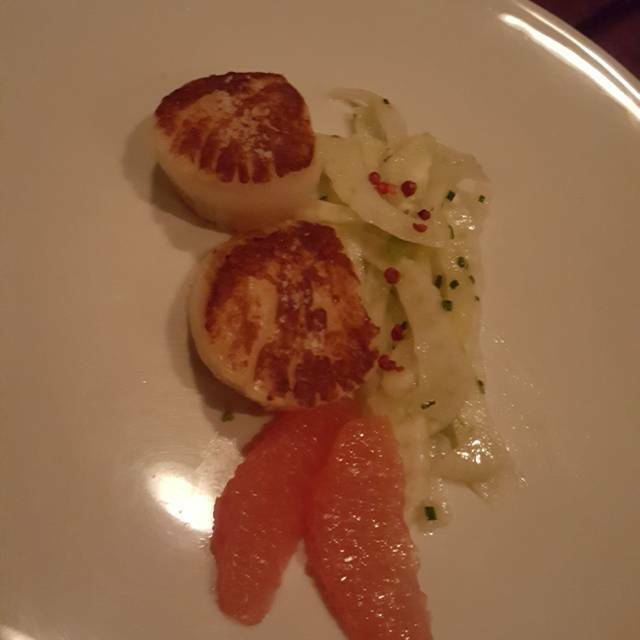 Two scallops is kind of a joke. Would go again to Davenport as soon as possible. Delightful! Went on Thursday, March 14th to celebrate my husband’s birthday . Davenport is one of our favorite restaurants, and Thursday’s meal was awesome! The squid salad and stuffed piquillo peppers were to die for. Seek out this restaurant! Davenport was recommended by a friend. Great food and experience. I'll be going back again. Went with friends for a nice dinner out and we were not disappointed. Wonderful oysters and perfectly cooked scallops. Great wine options too. Will definitely go back. Great food items made a special evening to celebrate a family birthday! I realize it is Portland Dining Month, but based on the service I would not return. We were played a 3 course meal in under 30 minutes, hadn’t even finished our first drink. No water refill, check delivered and taken. This was not a dining experience, would be less rushed in a fast food restaurant. I always enjoy Davenport. It's nice to see the owners working, and enjoying their work. I'm happiest when Kurt is there, as I ask him to pick a wine for me. This time, it was a Rioja Reserva from Bodegas Roda in Haro, medium-weight, fresh, able to go with various dishes. We had a party of four, and three of us ate the Portland Dining Month specials. It was a real value, a nice dinner with wine for four people for just over $200. Great food and lovely presentation! I would go there again and very much appreciated the staff and attention to detail. It always a special and delightful experience to eat at Davenport. The entire staff is warm and inviting and the food is Impeccable quality and presentation. without any pretentiousness. 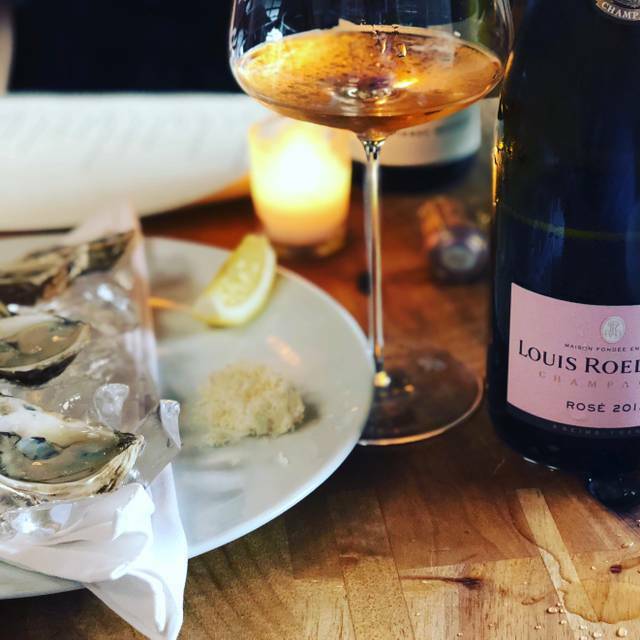 The wine list is unparalleled in Portland and ALWAYS ask Kurt to make a recommendation - you will never be sorry you did! We can’t wait for our next visit. Thank you! 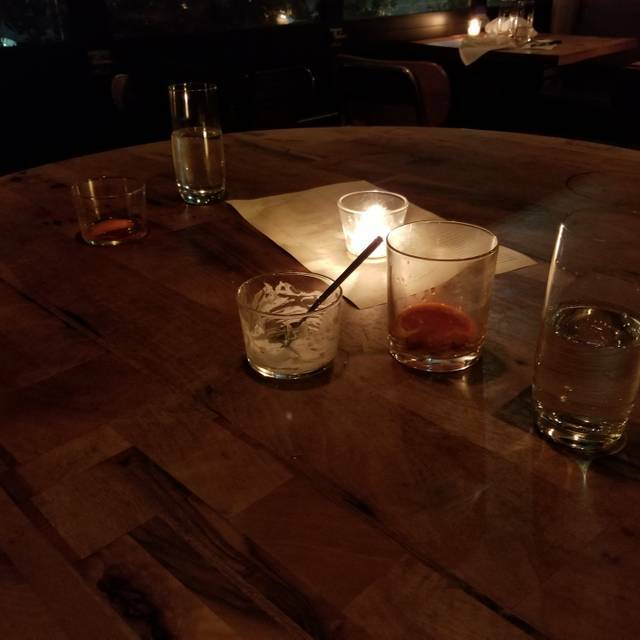 Kurt made our night with not only his great company, but a wonderful knowledge of drinks! He really made our evening! Delicious food, well seasoned. Waitstaff was very attentive and pleasant. Great flavor and balance! From the cocktails to the salads to the crispy to the orient-touched duck skin. One of our favorite aspects of the meal were some unusual wines offered by the glass: instead committing to a single bottle, we sampled lovely and unfamiliar glasses from the Canary Islands, alpine Italy, and back-roads France. The wait staff did a nice job of reading our needs, making recommendations, and giving us time to eat each small plate, course, by course, by course. Tried Dining Month menu. Food was nicely prepared; service was excellent. Small but did not feel crowded. Could have done without the scattered boxes of wine as you enter. Comfortable setting, good wine service, low noise level even when nearly full. A great small plates restaurant tucked away in a hole in the wall that's hard to notice unless you're looking for it. Be sure to take advantage of the wisdom of the sommelier, Kurt, who seems to always pick out something great once you've given him an outline of your preferences. Be picked Davenport because of its closeness to The Sanctuary Theater. 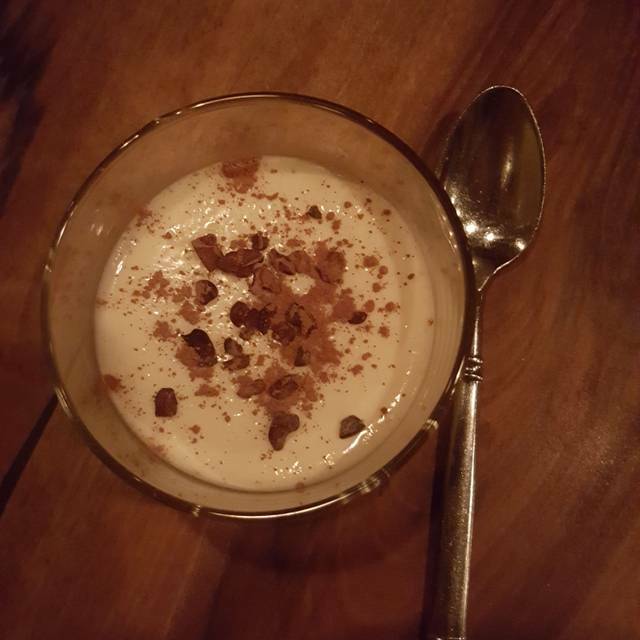 We were so pleasantly surprised by try ambiance, the food and the service! 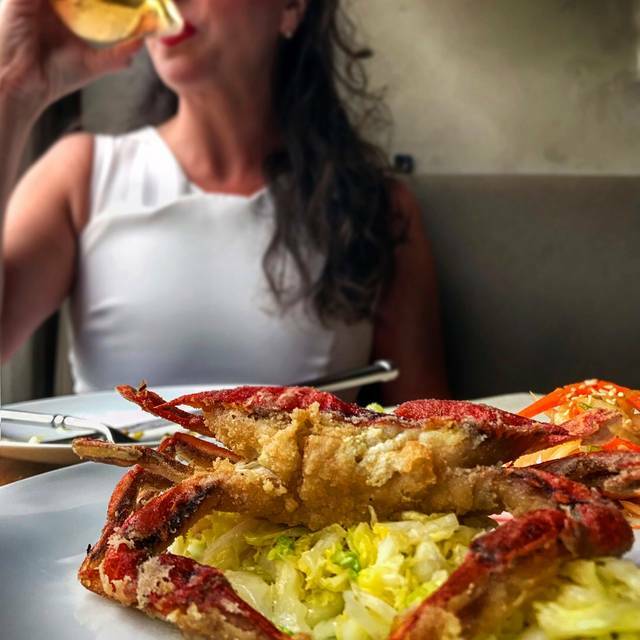 We didn’t know what to expect (some friends thought the small plates were too “small”) but we loved it and thought a perfect way to enjoy many different flavors and dishes. Kudos to the kitchen staff! The food was great! Oh, please thank the bartender, we had a great Negroni too! Will definitely come back and bring a few friends to enjoy more offerings. We love the “quietness” of the place. Thank you so much! My wife and I haven’t spoken in years, so we planned a special night out to give it one more shot. Davenport not only saved my marriage, but it allowed us to reconnect in ways we haven’t in years. We loved the food, the service, and the ambiance. Can’t wait to come back for the unforgettable duck. This was one of the best dinners we've had in years, with everything from the food to the service to the bar program really knocking it out of the park. Highly recommend to anyone looking for thoughtfully prepared delicious food. This was one of the best restaurants I had ever been to. Not only was the food exceptional, the bartender was generously heavy handed. Since it was my first time there and in a neighborhood I was unfamiliar with, it was hard to find. The name does not show up and I was driving around and around looking for it. When I called them they said it was next to Heart Coffee. That was easy to see and I knew I was finally at the right place. My friend was 20 minutes late because she couldn't find it either. THE FOOD AND SERVICE WAS SO GOOD THAT I CAN'T WAIT TO GO BACK. This place is a winner. The food was top and celiacs. An eat without worry...we ordered mostly seafood and all dishes were tasty, creative, and fresh... would definitely go there again..
Delishous food came out in rotations at just the right moment to dive into the next set of flavors. We sat and talked and ate for what seemed like forever. You can get lost in this place. Lost in a good time. Intimate setting. Good food and service. Reasonable prices. Great with a bigger group so you can try more foods. Very knowledgeable about wine and great service.